Does Investors in People affect organisational performance: a relevant question? Purpose – Ever since the introduction of Investors in People (IiP), a management framework for high performance invented by the UK Government aimed at improving the UK’s industrial performance, there has been indistinctness about whether Investors in People actually improved organisational performance. The academic literature gives conflicting evidence and almost 25 years after the first exposure to Investors in People this issue has not been settled yet. The paper aims to discuss these issues. Design/methodology/approach – In this paper the literature on the effects of Investors in People on organisational performance is collected and discussed, to try to give a definitive answer on the question what the effect of Investors in People is or should be. Findings – After reviewing the evidence, the paper raises the question whether asking the question if Investors in People increases organisational performance is actually a relevant one. This is because Investors in People was originally intended to be the standard against which organisation could be evaluated and subsequently rewarded for excellent human resource management (HRM) practices. In the core this means that Investors in People consist of a set of by experts agreed upon indicators related to HRM practices which together form the yardstick against which organisations are measured. Originality/value – This paper is the first one to actually create clarity of what the Investors in People standard actually is and how it should be perceived and applied by organisations and academics alike. Introduction: Does Investors in People affect organisational performance: a relevant question? Investors in People was introduced by the UK Government in 1991 as a reaction to the UK’s poor industrial performance, in comparison with other developed countries at that time (Smith et al., 2014). The aim of Investors in People was to help UK organisations improve the way they manage, develop and inspire their workforce, on the premise that a focus on skills training was crucial in achieving and sustaining the competitive advantage of organisations, their sectors and the overall country. 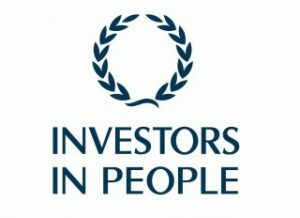 Investors in People is a quality standard by which organisations measure themselves in relation to their human resources (HR) practices (IiP, 2015). To support the quality standard, Investors in People offers principles of best practice in people management and techniques that organisations can apply to improve their performance in these areas (IiP, 2015). According to the chain of impact described by Bourne et al. (2008), organisations that adopt Investors in People will eventually achieve better financial performance (Figure 1). Read this full Emerald Insight paper by dr. André de Waal in PDF.